Language is important – particularly when it comes to mental illness and suicide. 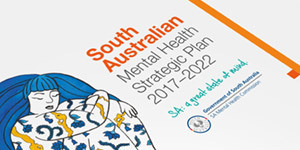 Two forums organised by the SA Mental Health Commission have highlighted the importance of language in relation to mental illness and suicide, as well as self-care. The way we speak and write about mental illness and suicide impacts us all – and it impacts our communities. Words have the power to reduce stigma and promote hope among those who are probably feeling pretty hopeless. The Walking through a Mindfield forum for media professionals on July 23 attracted almost 100 attendees for the Mindframe presentation and discussion on self-care. A Mind your Words forum on July 24 was a very successful bipartisan event which attracted MPs and staff from political offices across Adelaide. Special thanks to Sam Duluk, Member for Waite; Blair Boyer, Member for Wright and the Hon John Darley MLC for hosting this important event. 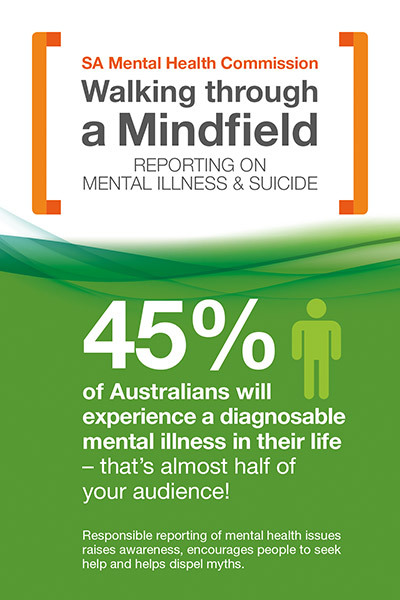 Mindframe is the Australian Government initiative that encourages responsible, accurate and sensitive representation of mental illness and suicide in the Australian media. 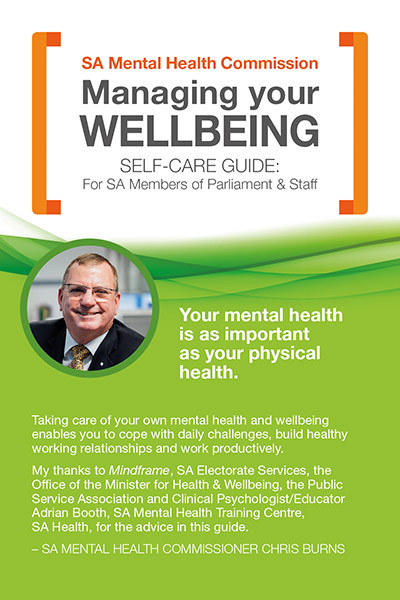 The Commission has produced resources including pocket guides on language and self-care available here. 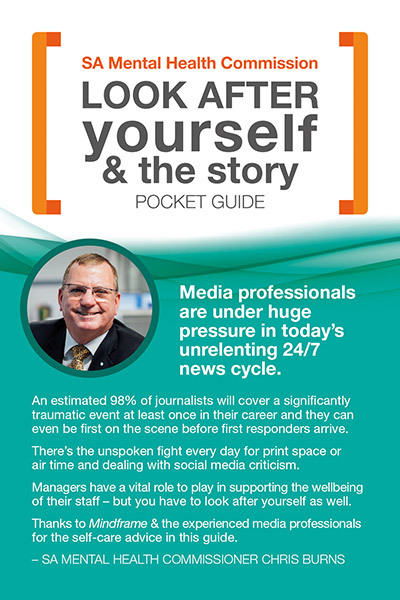 *Mindframe is an Australian Government initiative that encourages responsible, accurate and sensitive representation of mental illness and suicide in the Australian media. Core Strategy 1: Promotion, community education and early intervention for our people and communities to strengthen mental health and wellbeing, prevent mental illness, raise awareness and reduce stigma.